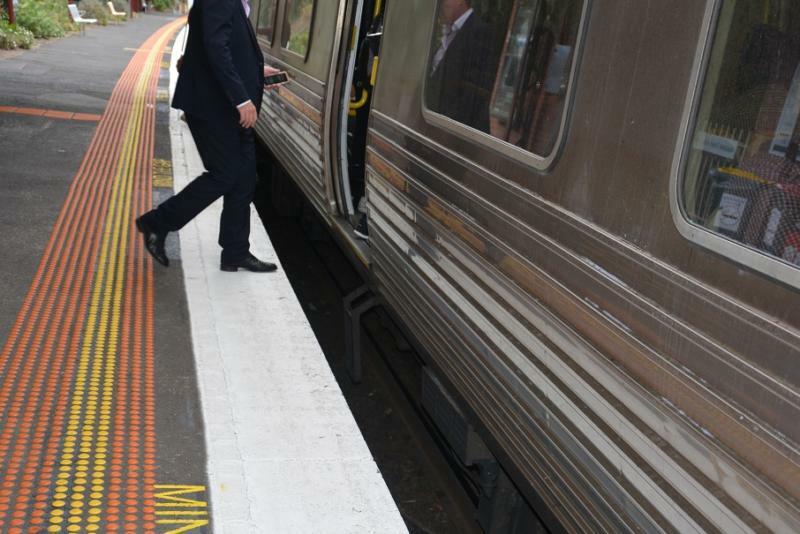 No uniform standard applies to the gap between trains and platforms on Melbourne’s rail network, with budget constraints stalling efforts to correct dangerous situations, an investigation by The Citizen has found. 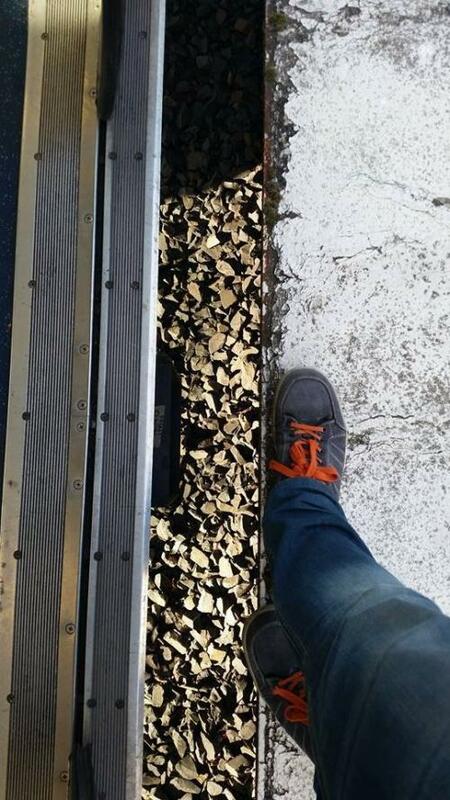 Rail authorities reported about 50 “slips, trips or falls” in 12 months at platform gaps like this one at Toorak Station. Photo credit: Maria Abbatangelo. At the same time, a complex web of organisations claim a stake in regulation and safety on the railways, some of which point to seemingly contradictory standards which can vary by more than 250mm. Design standards are clearest for new stations and those undergoing major upgrades. However, an accident of history – in which many platforms were built decades ago while rolling stock has been modernised and reconfigured – has left a legacy of dangerous gaps at some older stations. The so-called “stepping distance” can be widest at stations with curved platforms. A Metro spokeswoman, Larisa Tait, confirmed that the standards applying to the gap at a particular platform were “the standards which were current at the time of construction of the platform or at the time of any upgrade of the station”. The Citizen measured the distances between trains and platforms at a number of old stations and found gaps of up to 300mm – three times the base 100mm “horizontal offset” that applies to new or upgraded stations. Concerns over the extent of the gaps across the network were underscored by the death last year of 18-year-old Mitchell Callaghan, who fell between a train and the platform at Heyington Station, Toorak, on the Glen Waverley line. Rubber edging to reduce the gap was installed along the platform late last year after a petition calling for action drew more than 5300 signatures. An Australian Transport Safety Bureau investigation into the incident is due to release its findings any day, while a 40-year-old train driver from Narre Warren faces a committal hearing later this year on charges of recklessly engaging in conduct that placed people in danger of serious injury and death. The Office of the National Rail Safety Regulator – set up by federal and state governments in 2012 to oversee the activities of rail operators – would not comment directly on the varying standards for platform gaps, but said operators of each network were ultimately responsible for ensuring that operations were safe. She added: “In mitigating these risks, there is a raft of tools including standards that operators can use. The operator must assess and determine which standard is best in mitigating that risk. 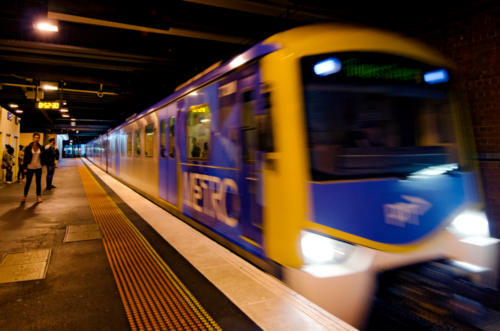 Statistics provided by the regulator show there were about 50 “slips, trips or falls” involving the gap between platforms and trains on Melbourne’s network in the 12 months to June 2015. The most generous standard for the horizontal gap between platforms and carriages appears to be 300mm, as prescribed by the Disability Discrimination Act. However, a 2012 technology review of the “Platform-Train Interface for Rail Passengers” by the former Co-operative Research Centre for Rail Innovation – a Federal Government initiative – cites a standard of just 40mm for the horizontal gap and 15mm for the vertical difference as per the federal Disability Standards for Accessible Public Transport (2002). According to Public Transport Victoria, which oversees the metropolitan train, tram and bus network, the design standard applying to gaps for new stations is 100mm for the “horizontal offset” and between minus-50mm and plus-70mm for the vertical gap between the train floor and platform edge. A construction tolerance of plus-or-minus 10mm is allowed, and further tolerance permitted for curved platforms. The Citizen took approximate measurements at several platforms on the network that have big gaps between platforms and carriages. These were recorded as: West Richmond station, platform two (curved) – 300mm; Auburn station, platform three (curved) – 250mm; Camberwell station, platform three (slight curve) – 230mm. Two other stations that were upgraded within the last 20 years also do not appear to comply with modern standards, even for straight platforms. 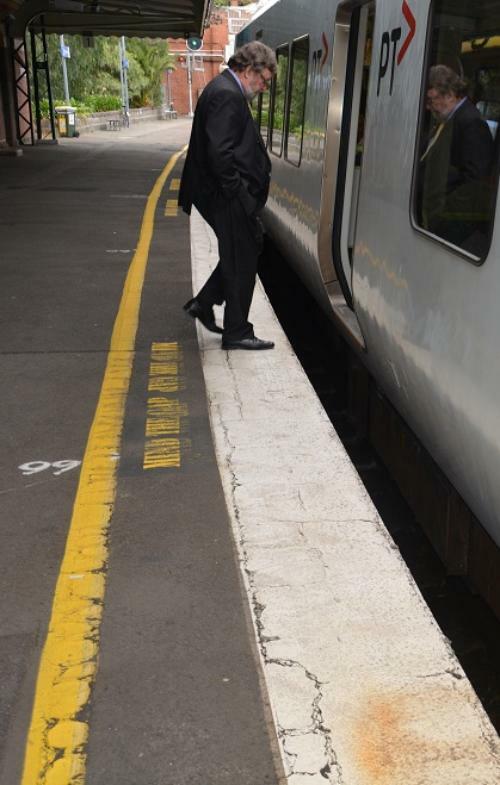 At Surrey Hills station, a gap of 180mm was measured between the train floor and the edge of platform two, while at Canterbury station, gaps of 260mm and 230mm were measured on platforms one and two. A PTV spokesman said there were no plans in the current financial year for construction works at stations similar to those carried out at Heyington Station. He said the authority and Metro “continually review maintenance and renewals programs and allocate funds to improve the network based on priority assessments”. One rail industry source, who did not wish to be identified, told The Citizen the State Government was aware of the safety issue posed by train station gaps but considered it too costly to address. 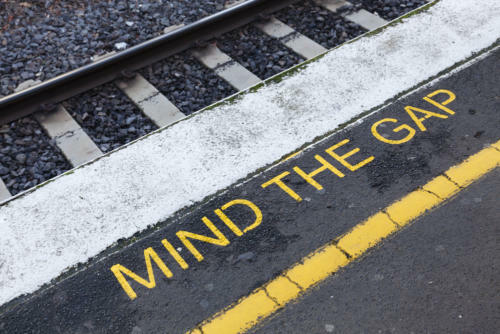 Other sources in the sector said there was enormous goodwill in the industry to address the disparity of gaps and make stations safer, but competing complexities made this difficult. Other entities also with an interest in safety and regulation of the network include the Australasian Centre for Rail Innovation, the Australasian Railway Association, the Victorian Rail Industry Operators Group, Transport Safety Victoria and the Public Transport Users Association, among others. The Australian Transport Safety Bureau, which is looking into last year’s Heyington fatality, undertakes “no-blame” investigations of incidents that occur on the network. Meanwhile, the Office of the National Rail Safety Regulator works with ATSB so that operators might implement any recommendations flowing from such investigations. The president of the Public Transport Users’ Association, Anthony Morton, said the group was unclear about the safety standards applying to railway stations. Mr Morton said the gaps at Heyington Station, where Mitchell Callaghan died on February 22, 2014, were particularly wide. Mitchell’s parents, Mark and Belinda Callaghan, welcomed the upgrade at Heyington where the track was realigned and rubber edging added to the platform over two weekends last year. However, they described the outcome as being “bittersweet”. Mr Callaghan said that “just two weekends of work” could have averted his son’s death. This story also appeared in The Age.